Thanks in part to “Big Room” design collaboration, San Francisco International Airport’s Terminal 1 remains open for business as it is being revitalized. Courtesy Woods Bagot and HKS. HKS Principal Rick Lee characterizes the building-within-a-building as “one of the most exciting yet challenging” methods the firms chose to encourage collaboration and coordination. That work is pushing the boundaries of what’s possible on this $2.4 billion project. 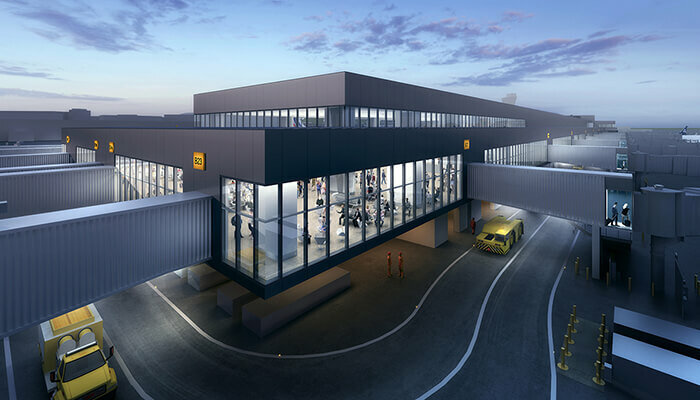 The original Terminal 1, constructed in 1963, will be demolished and a new Terminal 1 Center and Boarding Area B will be constructed by two design-build teams. The team led by construction contractor Austin Webcor Joint Venture—with architects Woods Bagot, HKS, Kendall Young Associates, and ED2 International—is responsible for planning the 550,000-square-foot boarding area, 27 gates, concessions, and amenities, and accommodating an innovative new baggage handling system for this future world-class passenger experience. It takes more brilliant minds than can fit in the Big Room to deliver SFO’s vision for revolutionizing the guest experience. The design team has engaged talent across disciplines and geographic regions, leveraging design intelligence tools and technologies including BIM 360, Autodesk’s cloud platform for project delivery and construction management. Get a closer look at the technology driving SFO’s redesign. 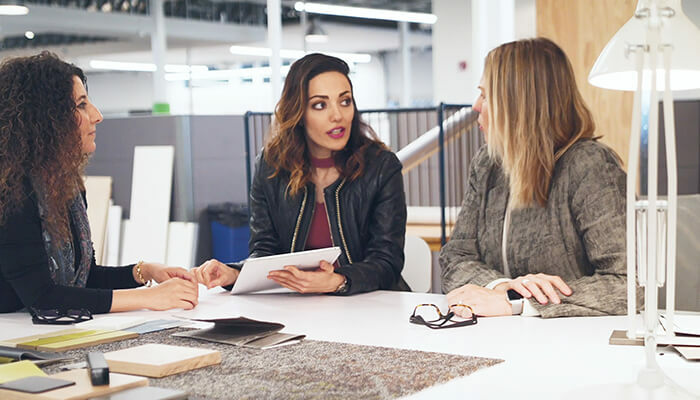 Annexing space in the cloud for the extended project team has created a Virtual Big Room where the right talent from the partner firms can work together. This cloud collaboration is resolving the inevitable conflicts between SFO’s vision, priorities, and project constraints. From the start, maintaining airport operations was a primary goal. 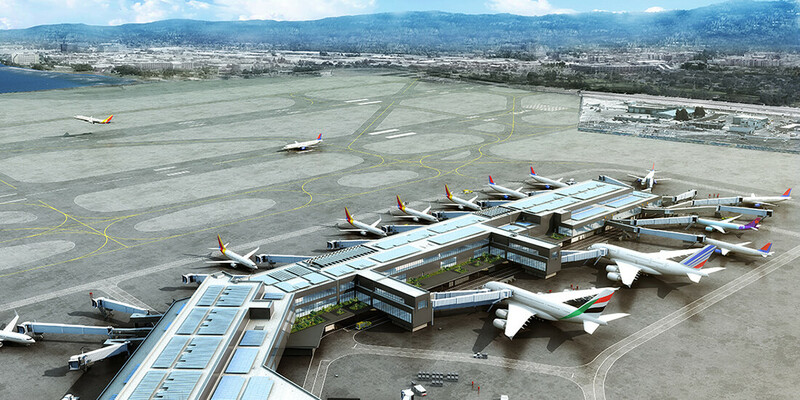 The design-build team worked with SFO to phase the project over six years. Starting with groundbreaking in 2016, the timeline calls for nine gates to open by July 2019, nine more gates by March 2020, and seven gates in the first quarter of 2021. By the end of 2022, Boarding Area B will be fully operational, with flexible capacity for more international flights by using seven of the 27 gates as multifunction swing gates connected to US Customs. To date, SFO has retained 60 percent of the terminal’s original capacity during construction, according to Spencer. Parts of the concourse are being built and rebuilt to keep the terminal open during demolition and construction. With passengers being redirected four or five times, SFO is countering the potential for confusion by covering temporary walls, AirTrain platforms, and other passageways with art and information about the Terminal 1 project. 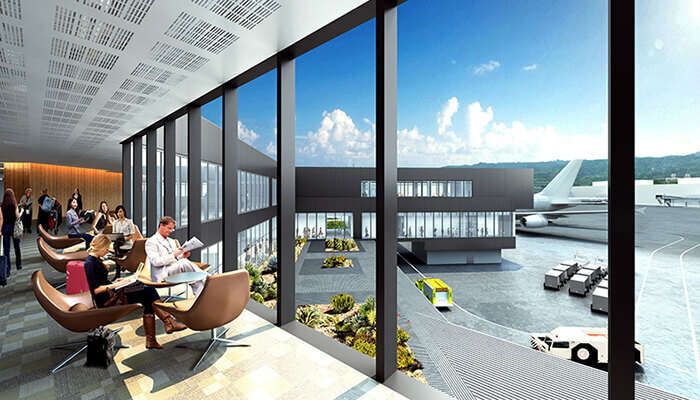 The conflicts between design ambitions, budget constraints, and what can actually be built while the airport is operational are ultimately resolved in the Virtual Big Room. At weekly BIM meetings, the design team exchanges files and information, addresses major problems, identifies priorities, and coordinates solutions to be carried out on the critical task timeline. The contractor’s 4D model projects construction sequencing and scheduling. “Without the close integration of our designers and the contractors’ estimators and supervisors, we could never have gotten to the optimal solutions for how things could be built,” says Spencer. These ongoing exchanges also open up dialog about design options. Lee recalls a debate about the building envelope, which focused on ways to incorporate natural daylighting while mitigating glare and heat transmittance. The solution was dynamic glazing that changes window tinting in response to sunlight, making the interior space comfortable for passengers throughout the day while preserving views of the San Francisco Bay. Another innovative solution will benefit both SFO baggage services and passengers who are tired of being inconvenienced by lost luggage. The first of its kind in the United States, the Individual Carrier System (ICS) for baggage handling will improve security and processing. Making more space for the RFID-trackable baggage containers and conveyance system was a worthwhile tradeoff in that section of the terminal. The system is also substantially more energy efficient than traditional baggage conveyors. The comfort of SFO’s more than 55.8 million passengers each year is perhaps the number one priority publicly expressed by airport leadership. The aim is to “bring back the romance and excitement of air travel,” and the design team has made this its touchstone.